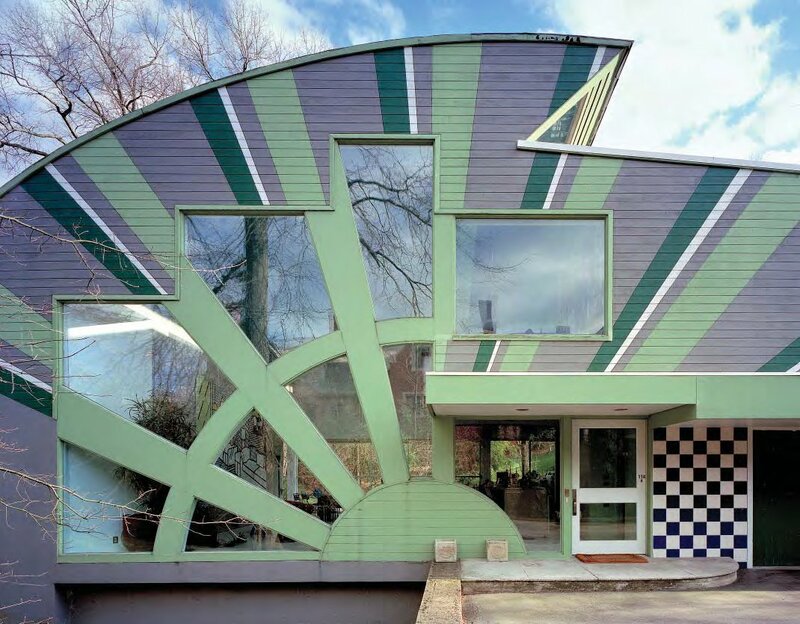 Modernist architecture isn't for everyone, and architect Robert Venturi was certainly not a fan. Starting in the mid-1960's, he became a leading critic of Modernist design and led the resulting post-modern movement. 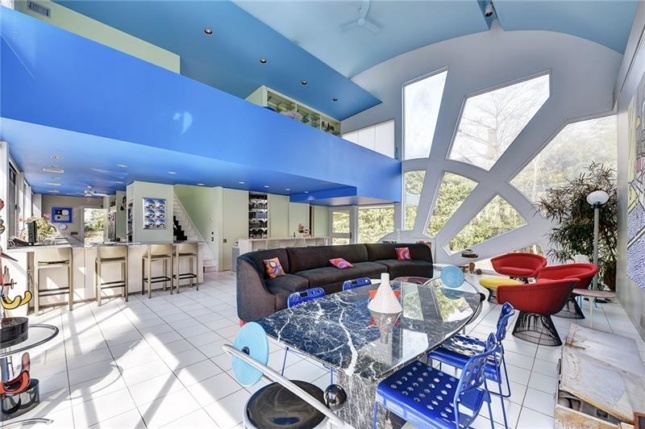 Some say his rebellion killed off Modernism in the 1970's but to be fair it was not doing that well anyway. 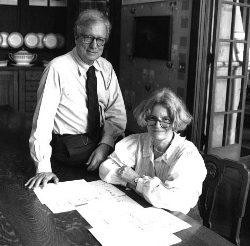 We include the work of Venturi and his partner/spouse Denise Scott Brown, both extraordinary award-winning architects, so you can explore differences between Modernist and post-Modernist designs. 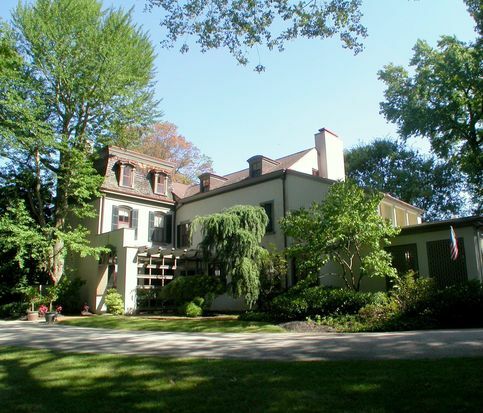 Venturi was born in Philadelphia PA and attended school at the Episcopal Academy in Merion PA. He graduated from Princeton in 1947 and received his MFA from Princeton in 1950. In 1951 he briefly worked under Eero Saarinen in Michigan and later for Louis Kahn in Philadelphia. He was awarded the Rome Prize Fellowship at the American Academy in Rome in 1954. 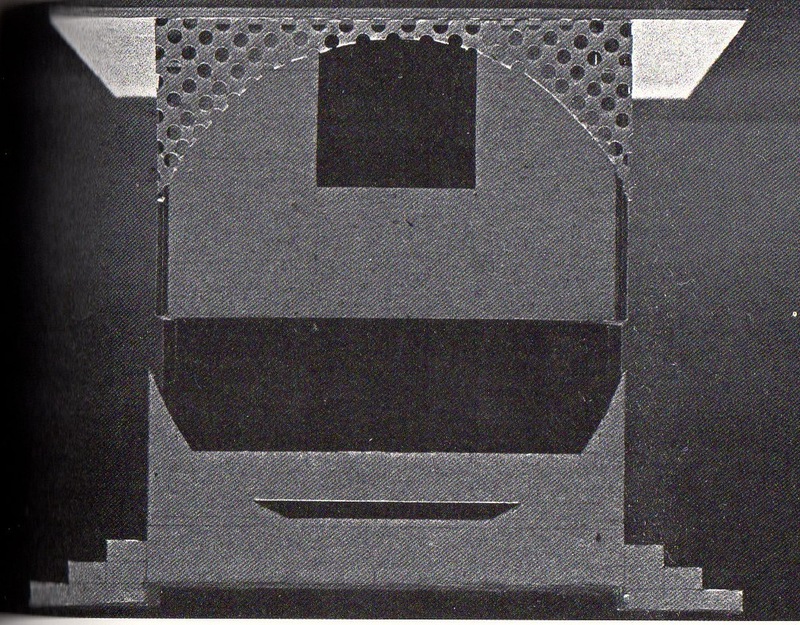 From 1954 to 1965, Venturi held teaching positions at the University of Pennsylvania, where he served as Kahn's teaching assistant, an instructor, and later, as associate professor. 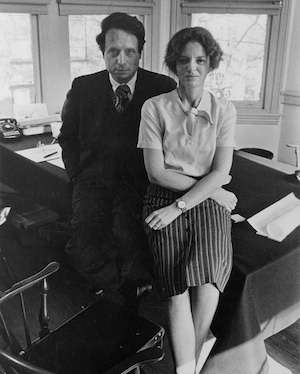 At a 1960 faculty meeting, Scott Brown met Robert Venturi when she spoke against demolishing the university's library. The two became collaborators and taught courses together from 1962 to 1964. A strong critic of Modernism, his 1966 book, Complexity and Contradiction in Architecture, advocated a richer, more ornamental, more detailed style of architecture that was a slap to Modernism, rejecting it as an elite architectural taste. 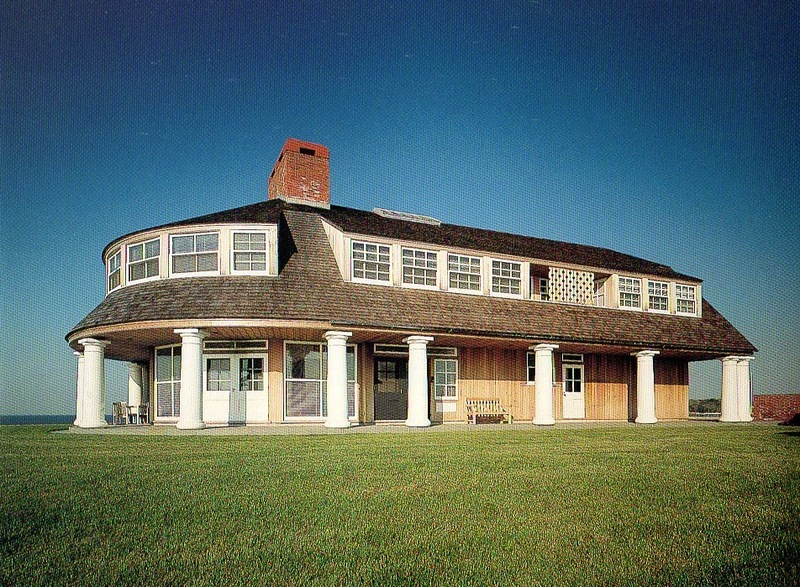 Venturi, and later Scott Brown, accepted American sprawl as normal and vernacular architecture (aka what is built in a place already) as perfectly fine. Venturi even coined the term "Less is a bore", a post-modern antidote to Mies van der Rohe's famous Modernist dictum "Less is more". As Paul Goldberger wrote in Vanity Fair, "Venturi argued that modern buildings were simplistic and reductivist, and that they aspired to a purity that most of architectural history denied. 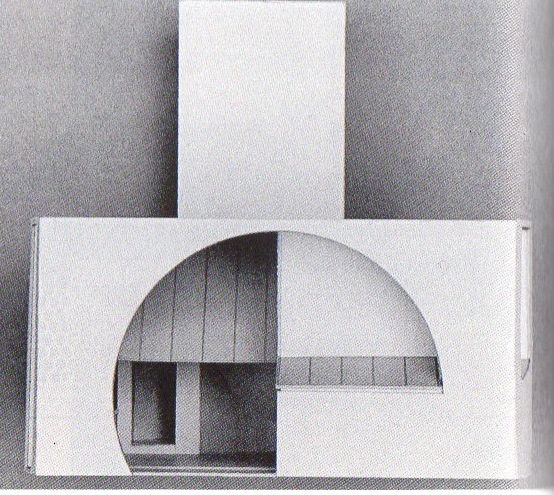 Great buildings were complicated responses to all kinds of situations, not pieces of abstract sculpture indifferent to their surroundings," Venturi said. 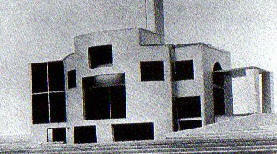 Venturi created the firm Venturi and Short with William Short in 1960. After John Rauch replaced Short as partner in 1964, the firm became Venturi and Rauch. In 1980, The firm's name became Venturi, Rauch and Scott Brown, and after Rauch's resignation in 1989, Venturi, Scott Brown and Associates. The firm, based in Philadelphia, was awarded the national AIA Firm Award in 1985. Scott Brown, born Denise Lakofsky in Rhodesia, studied at the University of the Witwatersrand in Johannesburg, South Africa, from 1948 to 1952. In London, she graduated from the Architectural Association School of Architecture in 1954. She married fellow student Robert Scott Brown in 1955 and spent the next three years working and traveling with him in Europe. In 1958, the Scott Browns came to Philadelphia to study at the University of Pennsylvania's Planning department. She completed her Masters in City Planning in 1960 and joined the faculty. Scott Brown left the University of Pennsylvania in 1965 and taught at UC-Berkeley then became co-chair of the Urban Design Program at UCLA. During her years in the Southwest, Scott Brown became interested in the newer cities of Los Angeles and Las Vegas. She invited Venturi to visit her classes at UCLA, and in 1966 asked him to visit Las Vegas with her. They married in 1967. Scott Brown moved back to Philadelphia in 1967 to join her husband's firm, Venturi and Rauch, and became principal in charge of planning in 1969. In 1972, with Venturi and Steven Izenour, Scott Brown wrote Learning From Las Vegas: the Forgotten Symbolism of Architectural Form. The book published studies of the Las Vegas Strip, undertaken with students in a research studio Scott Brown taught with Venturi in 1970 at Yale. She taught at Yale University, and in 2003 was a visiting lecturer with Venturi at Harvard University's Graduate School of Design. Scott Brown led the firm's major projects, including the Sainsbury Wing of London's National Gallery, the capitol building in Toulouse and the Nikko Hotel and Spa Resort in Japan. Venturi was awarded the Pritzker Prize in Architecture in 1991; the prize was awarded to him alone, despite his request to include his equal partner Scott Brown. Denise Scott Brown did not attend the ceremony in protest. Venturi and Scott Brown shaped the way that architects, planners and students experience and think about architecture and the American built environment. Both were honored with the AIA Gold Medal in 2015. Bios adapted from Wikipedia. 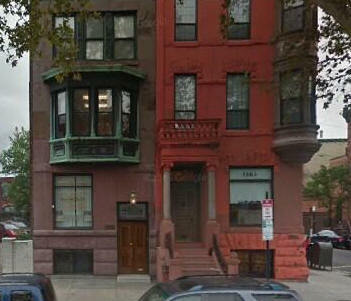 1957 - The R. J. Gambescia House Alterations, 307 Delancey Street, Philadelphia PA. Sold to J. D. Farber, who hired Venturi to do more alterations in 1964. Original house built in 1915. Became a 5-unit property. 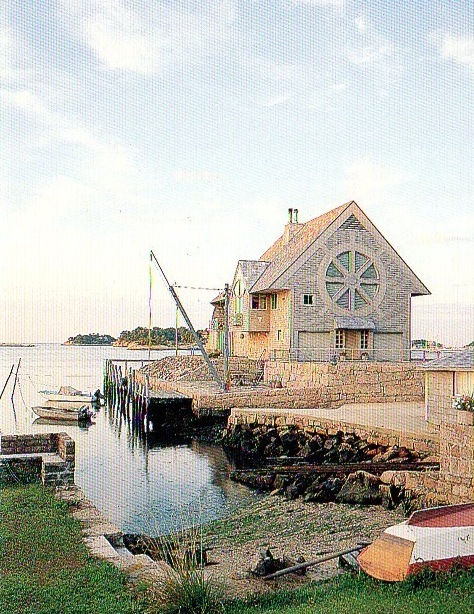 Renovated in 1973 by Adolf Deroy Mark. Sold in 1983 to Malcolm Lazin. 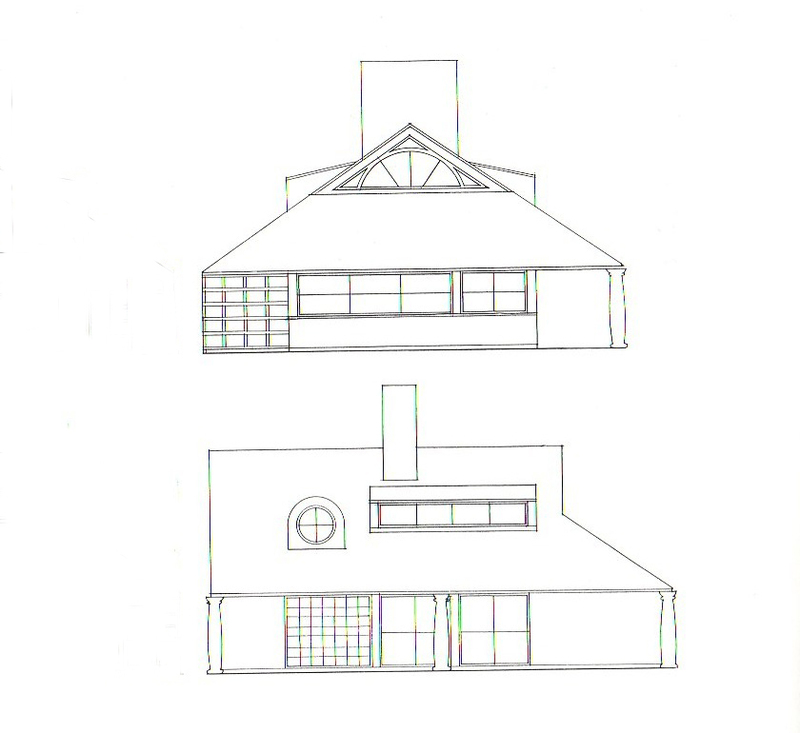 1957 - The Forrest Pearson House, Chestnut Hill, Pennsylvania PA. Unbuilt. 1959 - The Beach House, location unknown. Unbuilt. 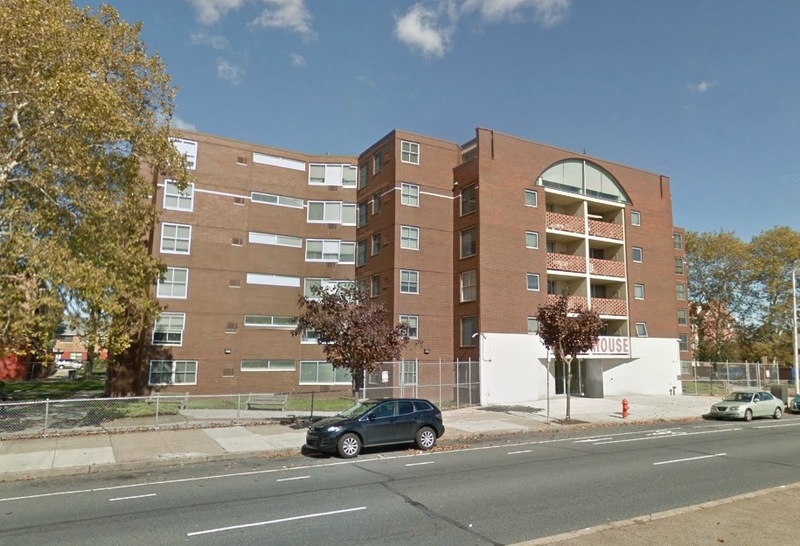 1959 - The H. Justice Williams House Alterations I, 309 South Philip Street, Philadelphia PA. Original house was 1860. Deeded to Thomas and Sandra Williams. 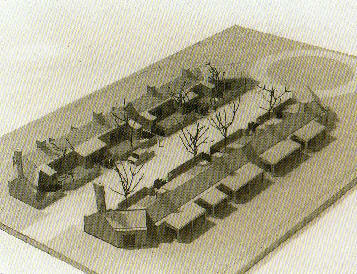 1959 - The Foulkeways Housing, Gwynnedd PA. Possibly built, needs verification. There is complex built in 1989 with updates in 2005. 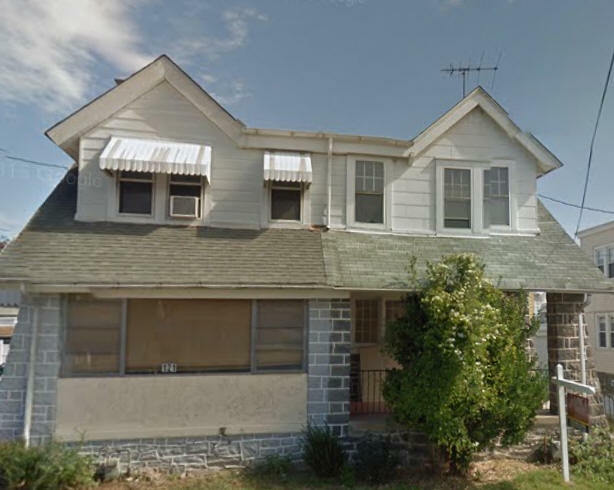 1960 - The Frank Correnty House Alterations and Addition, 121 Overhill Road, Upper Darby PA. Sold to Naiki LP. 1960 - The Dudley L. Miller House, East Hampton NY. Unbuilt. 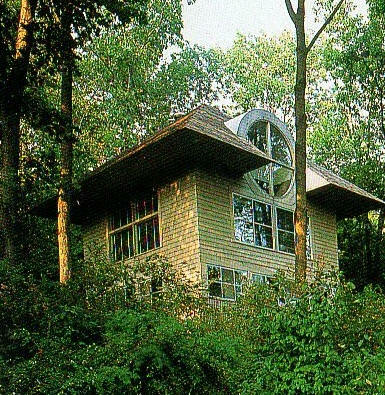 1960 - The Yehudi Wyner House Alterations, 52 Hutchin Hill Road, Woodstock NY. 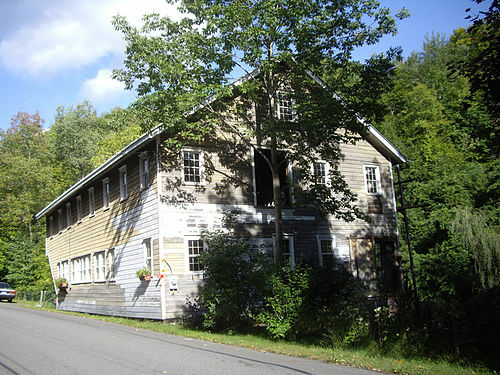 Formerly the Vosburg(h) and Stone turning mill. Damaged by wind in 1965. Listed on the National Register of Historic Places (2000). Sold to Victor Eugene Zalkine. 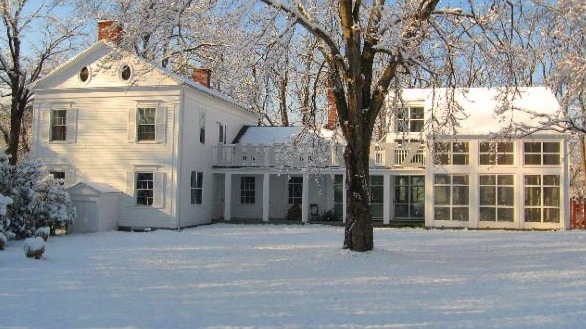 Sold in 1998 to Fred Martell and Judith Velosky. 1961 - The Vanna Venturi House, 8330 Millman Street, Philadelphia PA. Photo by Rollin La France and George Pohl. Sold in 1973 to Thomas P. and Agatha C. Hughes. 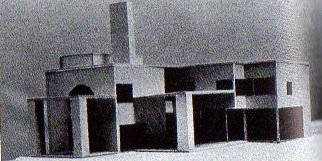 An addition was designed in 1975, unbuilt. Deeded to their daughter, Agatha. Sold in 2016 to David Lockard. 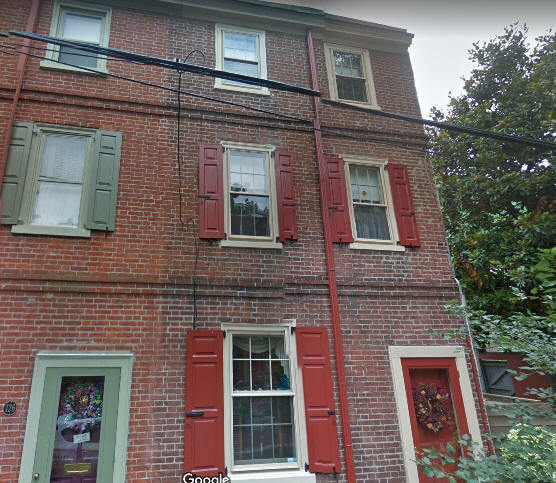 In 2016 the house was added to the Philadelphia Register of Historic Places. 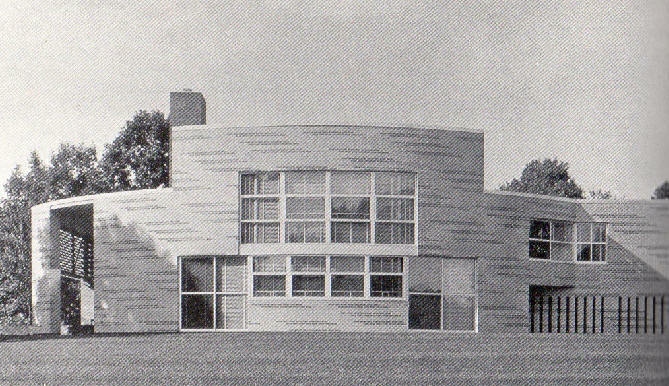 1962 - The Millard Meiss House, Princeton NJ. Unbuilt. 1962 - The Hun School Dormitory, aka Carter Dorm, Russell Road, Princeton NJ. Photo by Rollin La France. 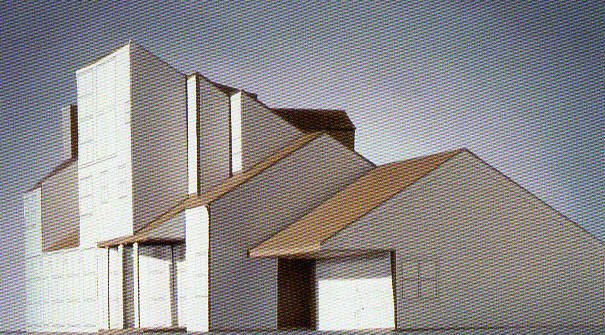 1963 - The Otto F. Haas Garage Addition, 300 Lewis Lane, Ambler Borough PA. Original home built in 1870. 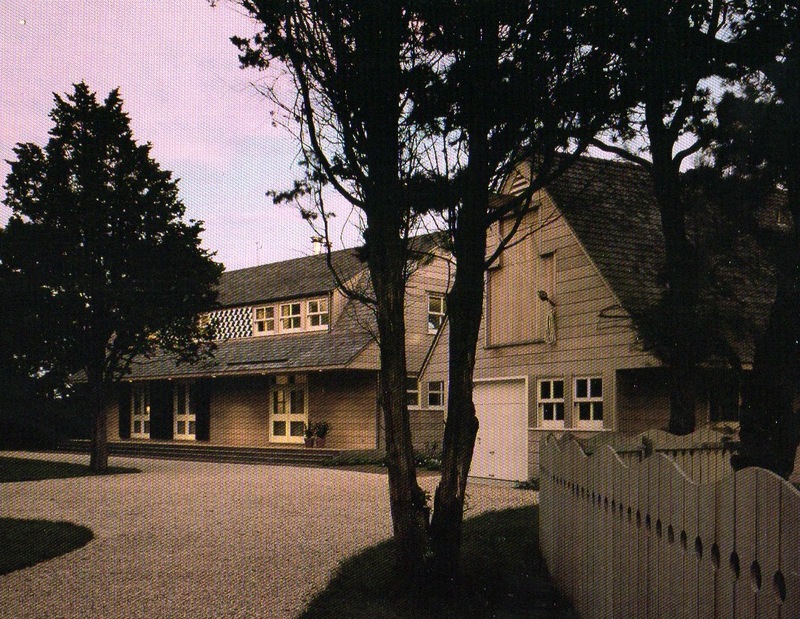 A carriage shed was added by VSB in 1973 and an interior renovation in 1977. Sold to Lewis Lane Associates, LP. 1964 - The Guild House, 711 Spring Garden Street, Philadelphia PA. Commissioned 1961. 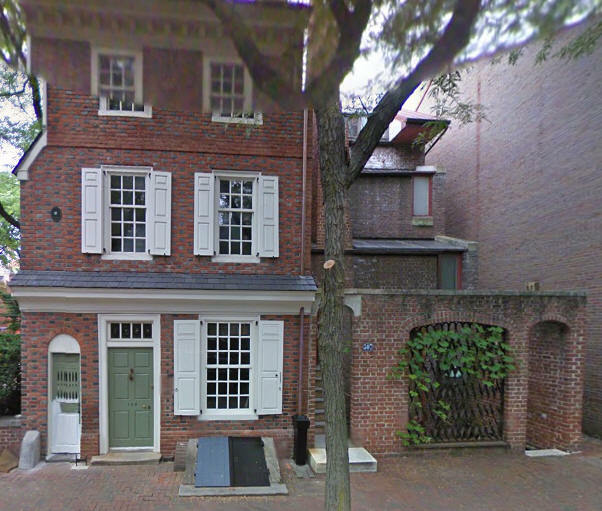 1964 - The Paul Perry House Alterations, 1841 South Broad Street, Philadelphia PA. Original house built in 1920. Sold in 2008 to Gerard Vernose. 1964 - The T. T. Fleming House Alterations, 1320 Frog Hollow Road, Rydal, Abington PA (Jenkintown PA). Original house built in 1952. Sold in 2011 to Zaslow Spencer. Sold in 2017. 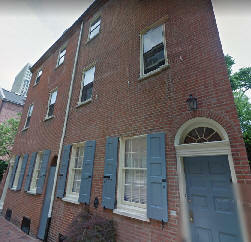 1964 - The H. Justice Williams House Alterations II, 128 Fitzwater Street, Philadelphia PA. Sold in 1987 to Josephine Freeman. 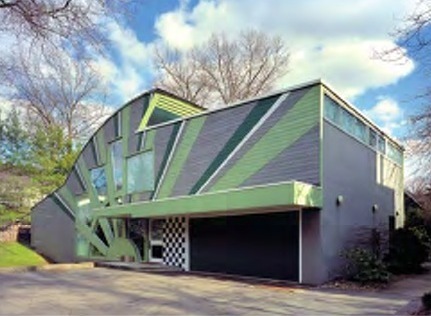 1965 - The Frug House I, Princeton NJ. Unbuilt. 1965 - The Frug House II, Princeton NJ. Unbuilt. 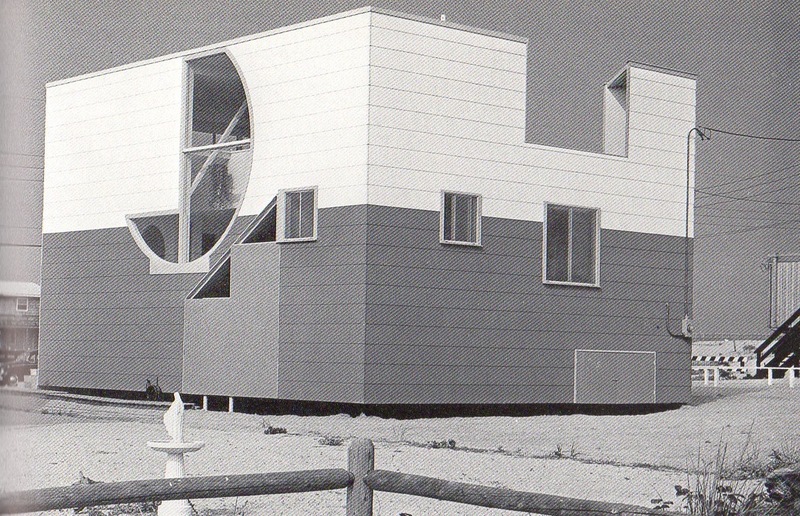 1967 - The Nathaniel and Judith Lieb House, East 30th Street (near Long Beach Boulevard), Loveladies NJ. Renovated in 1972. 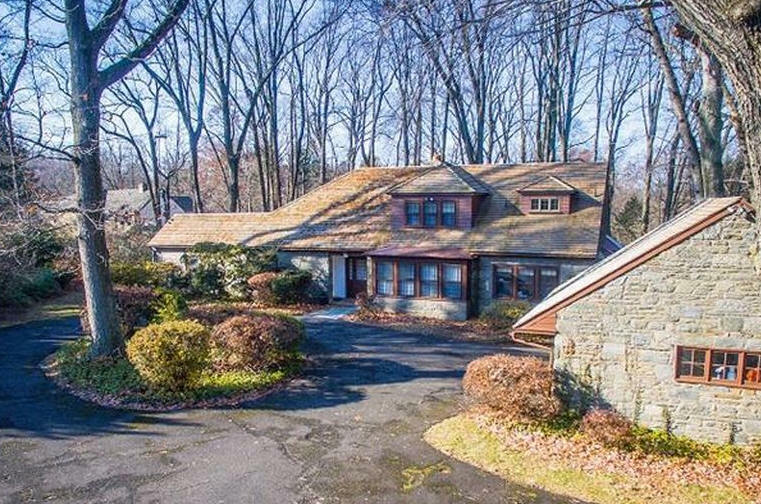 Moved to Westland Drive, Glen Cove NY since 2010. Photos by Steven Hill. 1967 - The Brighton Beach Housing Competition, Brighton Beach, Brooklyn NY. Unbuilt. 1968 - The D'Agostino House, Clinton NY. Unbuilt. 1968 - The Hersey House, Hyannis Port MA. Unbuilt. 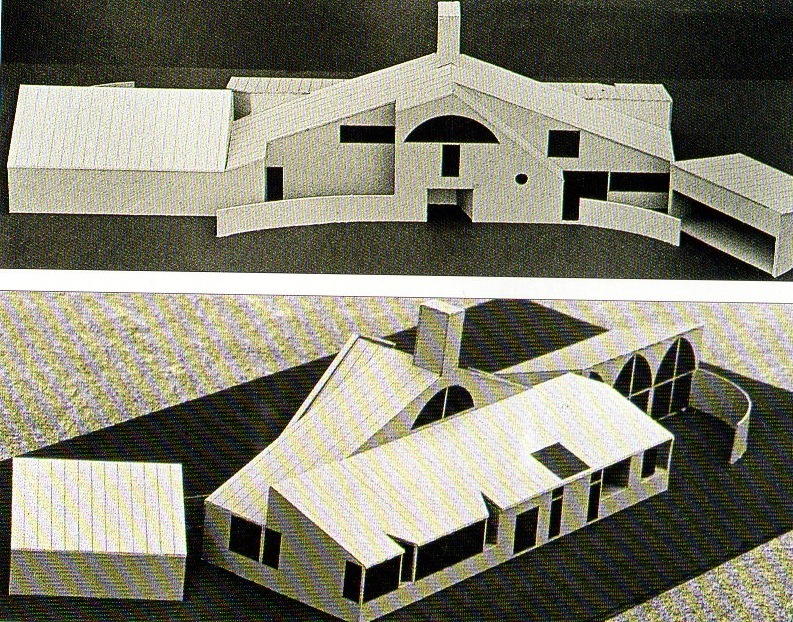 1969 - The Wike House, Devon PA. Unbuilt. Model photos by Steven Hill. 1970 - The Peter Brant Residence I, aka A House in Connecticut, 417 Taconic Road (near East Middle Patent Road), Greenwich CT. Photos by Cervin Robinson. 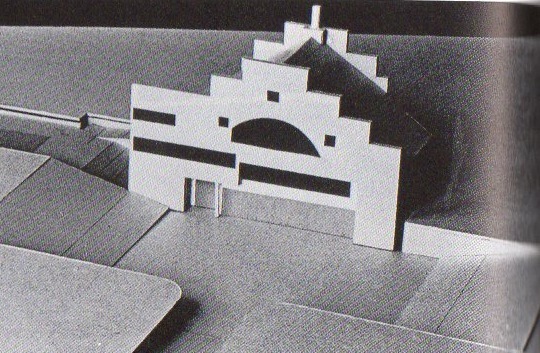 Additions were designed in 1976 and 1978, both unbuilt. 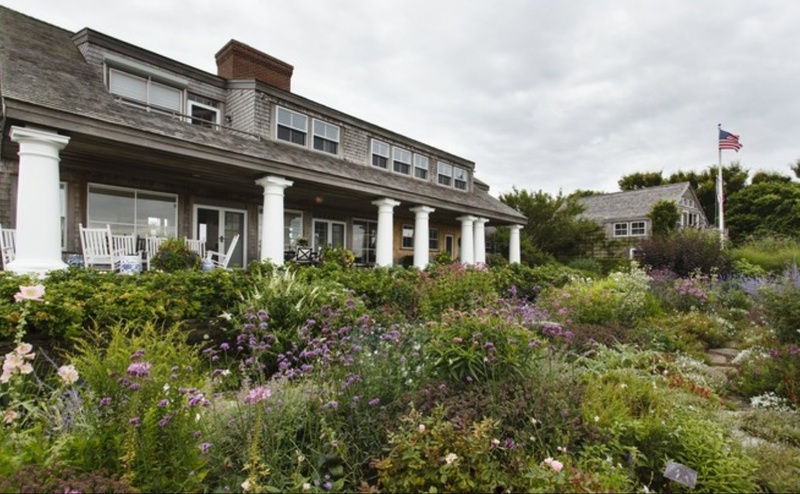 1970 - The David Trubeck/Wislocky House, Proprietors Way (near Pocomo Road), Nantucket Island MA. Photo by Steven Izenhour. 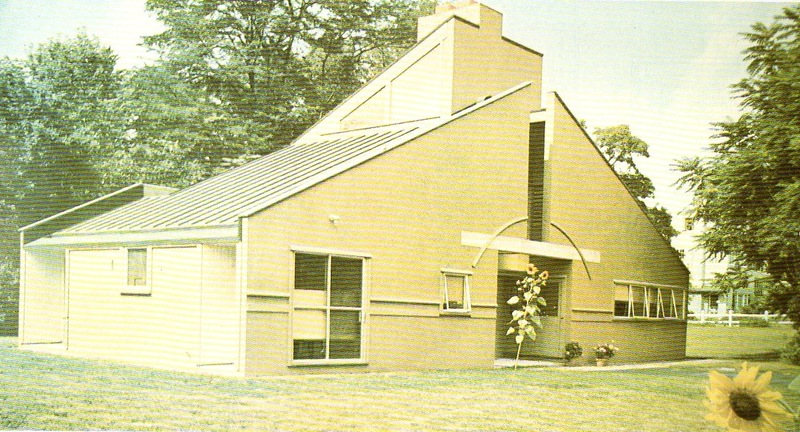 1972 - The Robert Venturi House, Wissahickon Avenue, 1025 Kitchens Lane, Philadelphia PA. 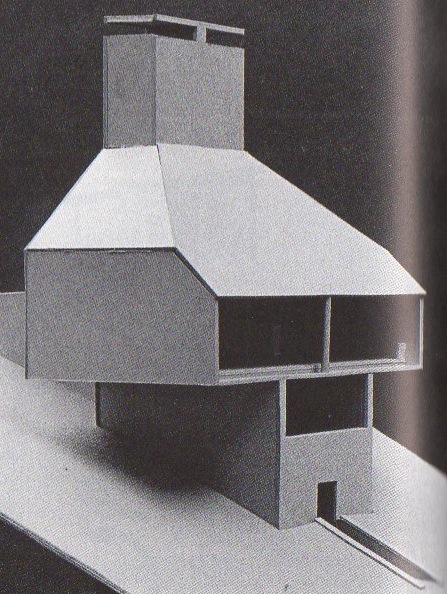 Contrary to some publications, Venturi did not design this house. He simply bought it. 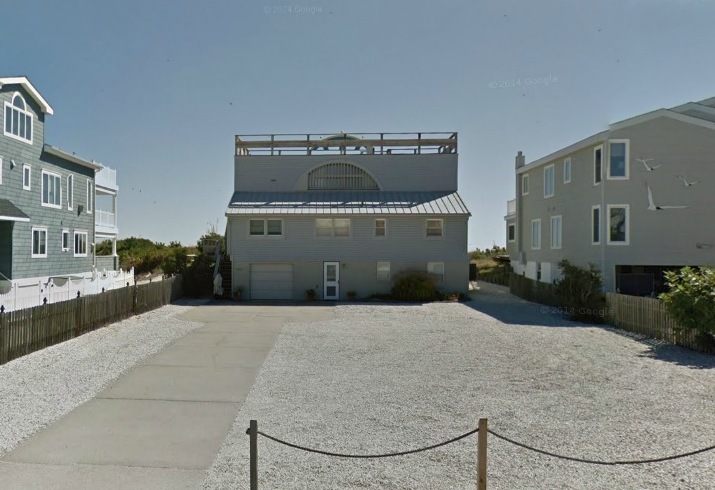 1972 - Addition, 7201 Pleasure Avenue, Sea Isle City, NJ. Sold to Audrey Jane Cusack. 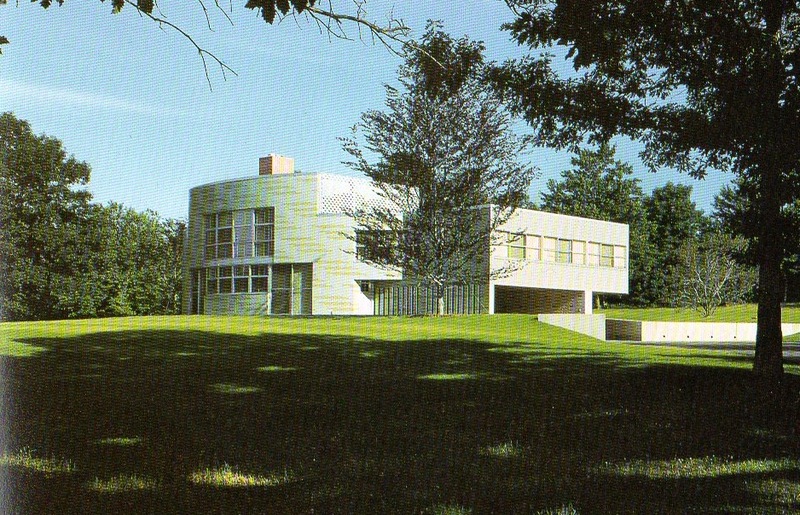 1974 - The Carl Tucker House, 48 Upper Hook Road, Katonah NY. Photo by Tom Crane and Tom Bernard. Sold to Ralph Lauren. 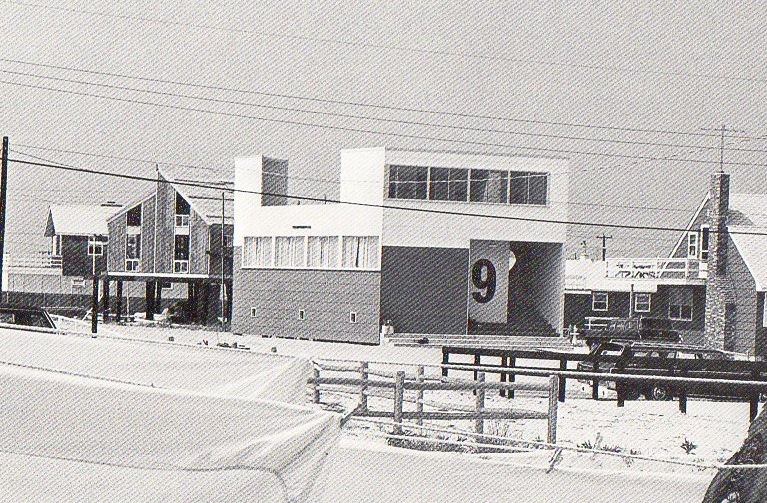 1974 - aka The Dream House, Jersey Shore NJ. Unbuilt. 1975 - The Peter Brant House II, Tucker's Town Road, Tuckers Town, Bermuda. Photo by Tom Bernard. 1975 - The Peter Brant and Jed Johnson House, aka House in Vail, 330 Rockledge Road, Vail Village CO. Photo by Steven Izenhour. 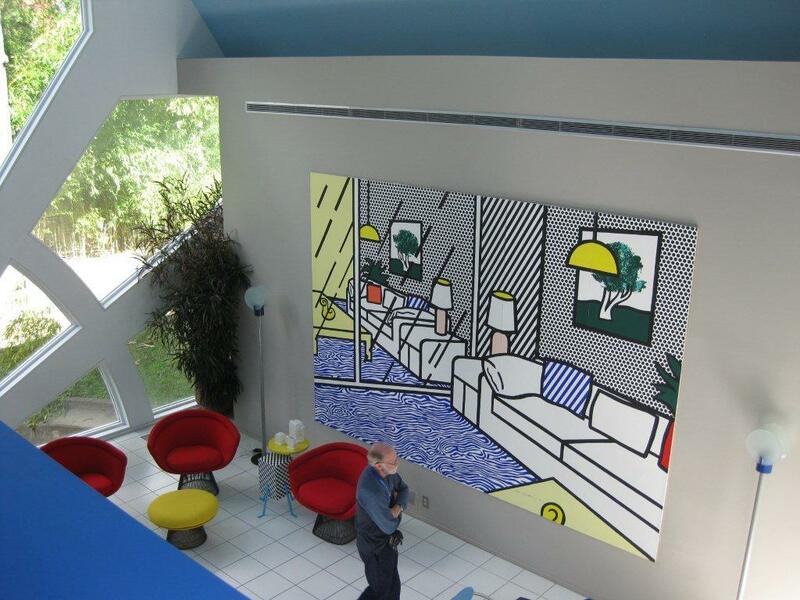 Jed Johnson was an interior decorator who worked with Andy Warhol, as well as being his life partner for several years. He died young in a 1996 airline crash. 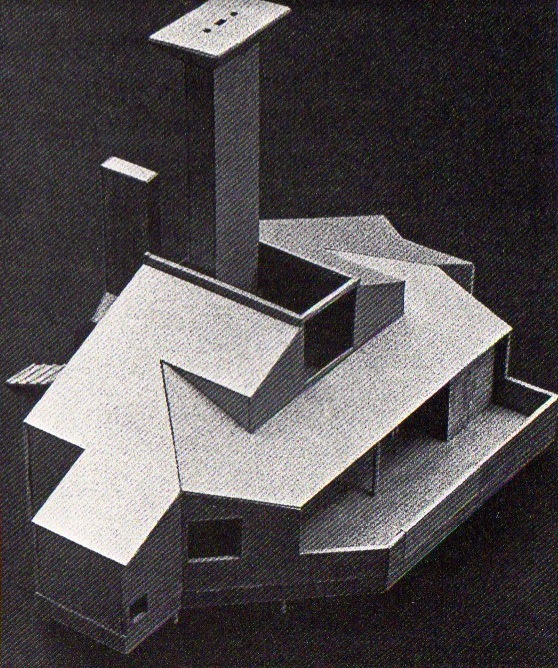 1977 - aka House on Long Island I. Unbuilt. 1977 - aka The Eclectic House, location unknown. Unbuilt. 1977 - aka The House in Absecon, Absecon NJ. Unbuilt. 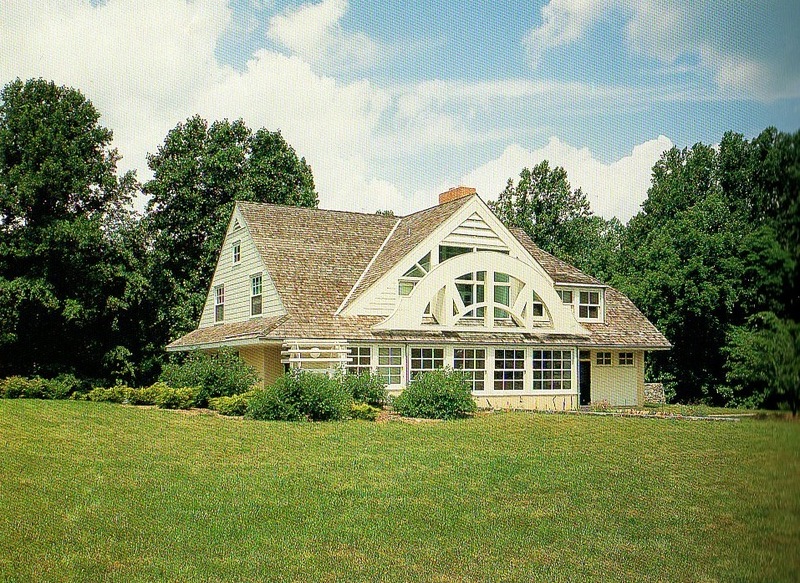 1978 - The Peter H. Flint and Karen Gebhart House, aka House in Delaware, aka Flintwoods Preserve, 205 Center Meeting Road, Greenville (Wilmington) DE. Photo by Matt Wargo. Flintwoods Preserve is a large barn that they use for concerts for Brandywine Baroque, a group of musicians started by Karen Gebhart. 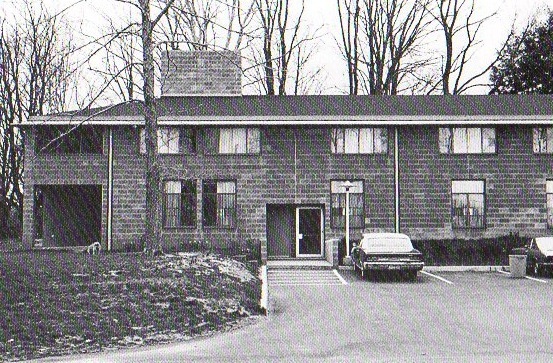 1979 - The Irving and Betty Abrams House, 118A Woodland Road, Pittsburgh PA. Located next door to the Giovanitti House by Richard Meier. Sold to neighbor Bill Snyder in 2018 who plans to destroy it. 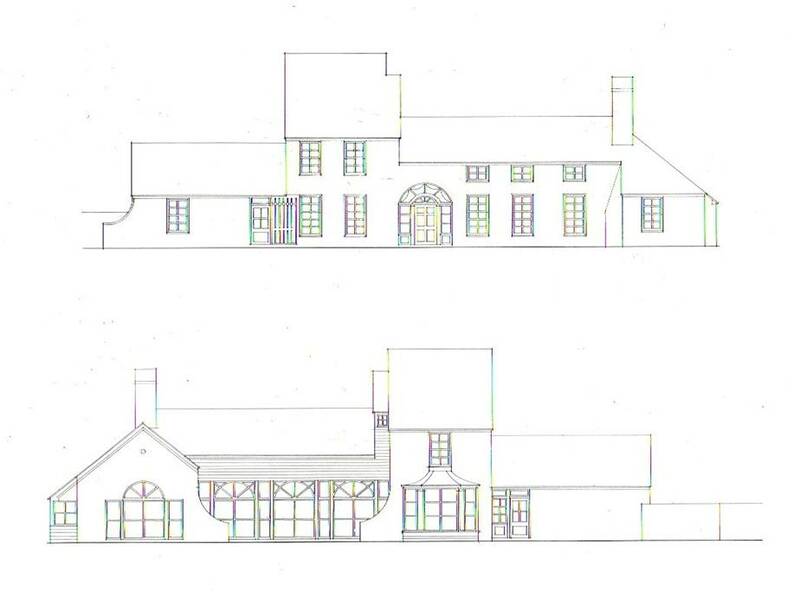 1979 - The Peter Brant House, aka Mount Vernon House Competition, 385 Taconic Road, Greenwich CT. Unbuilt. Despite all their previous work for the client, Venturi and Scott Brown lost the commission to Allan Greenberg. 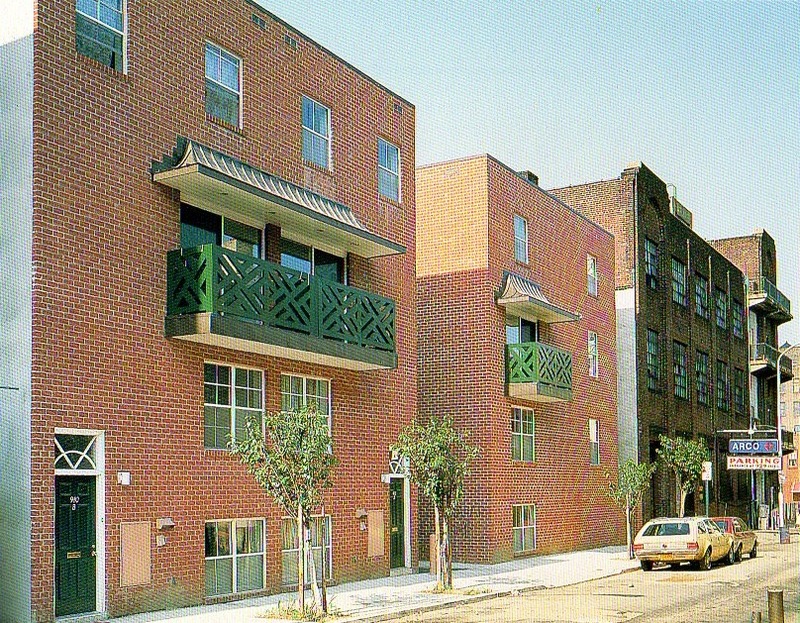 1979 - The Chinatown Housing, Spring and Winter Street at 10th Street, Philadelphia PA. Photo by Tom Bernard. 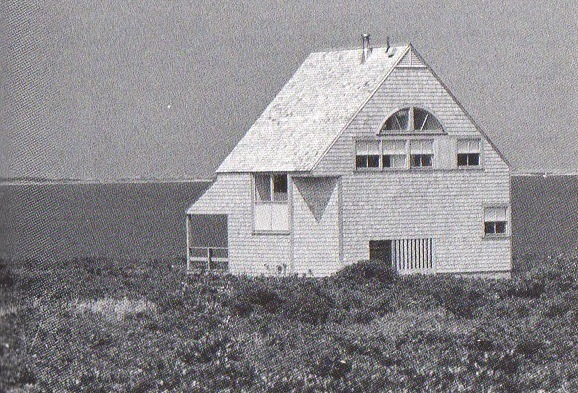 1979 - The Coxe-Hayden House and Studio, 1072 Corn Neck Road, New Shoreham, Block Island RI. Photo by Tom Bernard and Tom Crane. Available for rental. 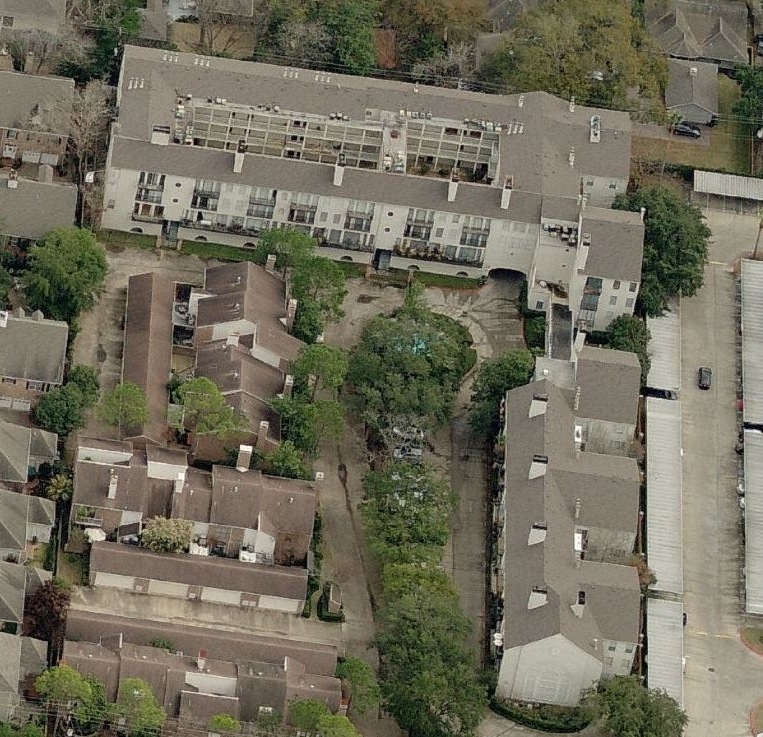 1980 - The Park Regency Condos, 2333 Bering Drive, Houston TX. 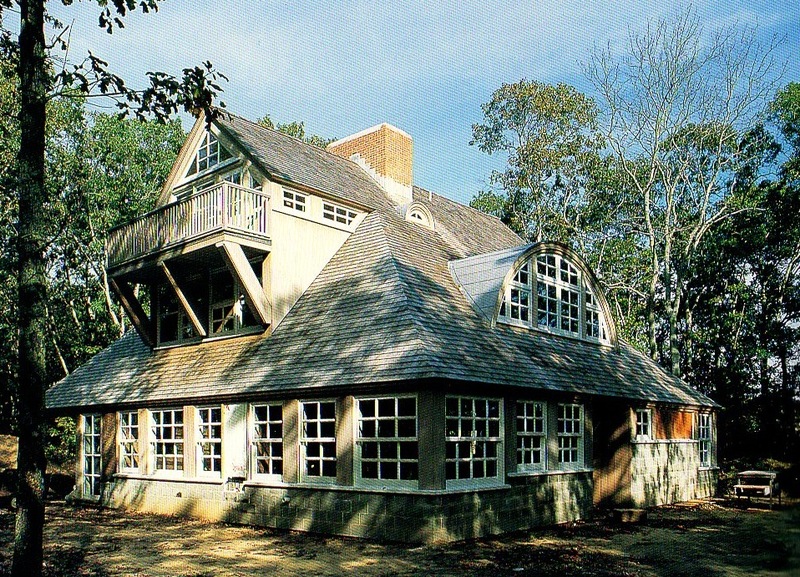 1982 - The Donald A. Petrie House, aka House on Long Island III, 2 Eel Cove Road (near Piersons Way), East Hampton NY. Photo by Tom Bernard. 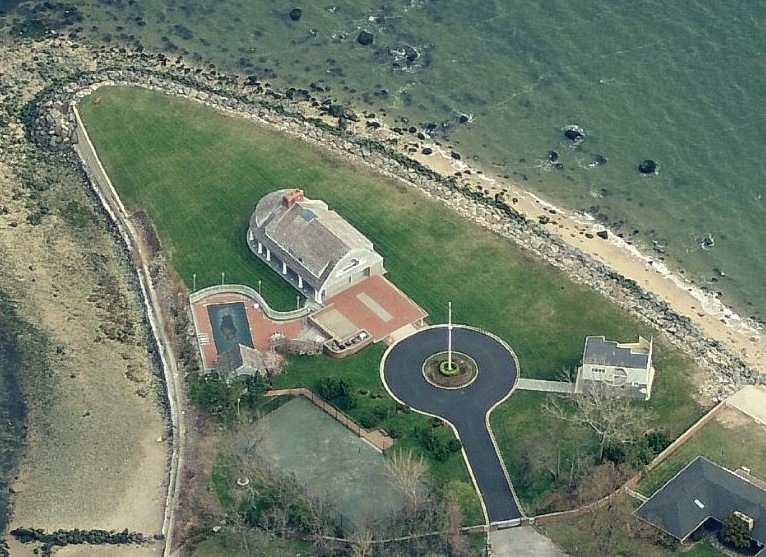 A 1981 scheme for Petrie was named House on Long Island II. 1983 - The Winterthur Housing, Rockland Road, Route 100, Wilmington DE. Unbuilt. 1983 - The Kalpajian House, aka House on Long Island IV, 52 Westland Drive, Glen Cove NY. The Lieb house was moved here around 2010. It's the smaller house on the right of the cul-de-sac. Photo by Matt Wargo. 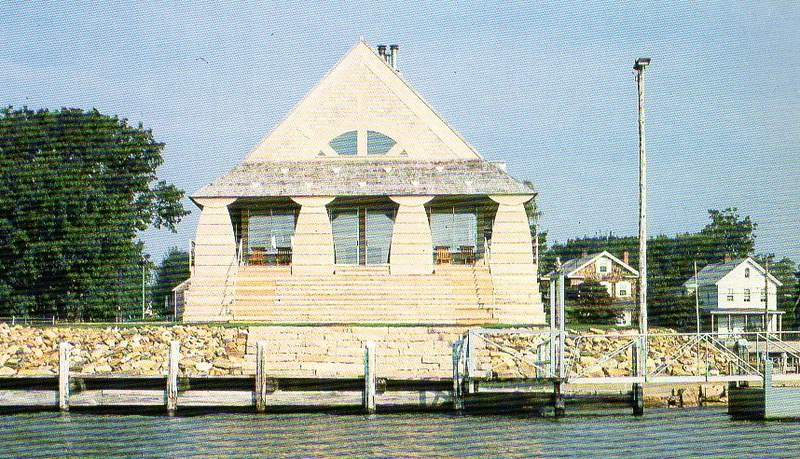 1984 - The George Izenour House, 16 Flying Point Road, Branford/Stony Creek CT. Photos by Steven Izenhour. Has been sold, and the columns modified, botom photo. 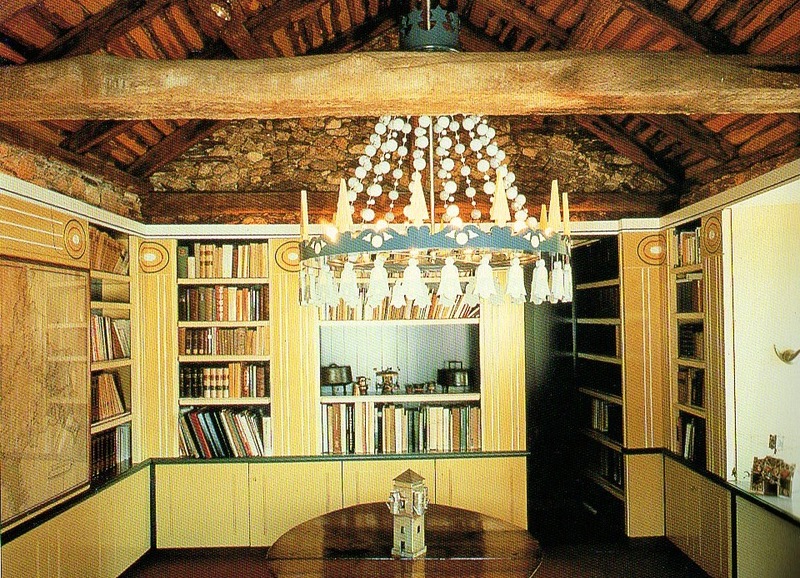 1984 - The Alessi Library, aka Library for a House in Northern Italy, Lake Orta, Italy. 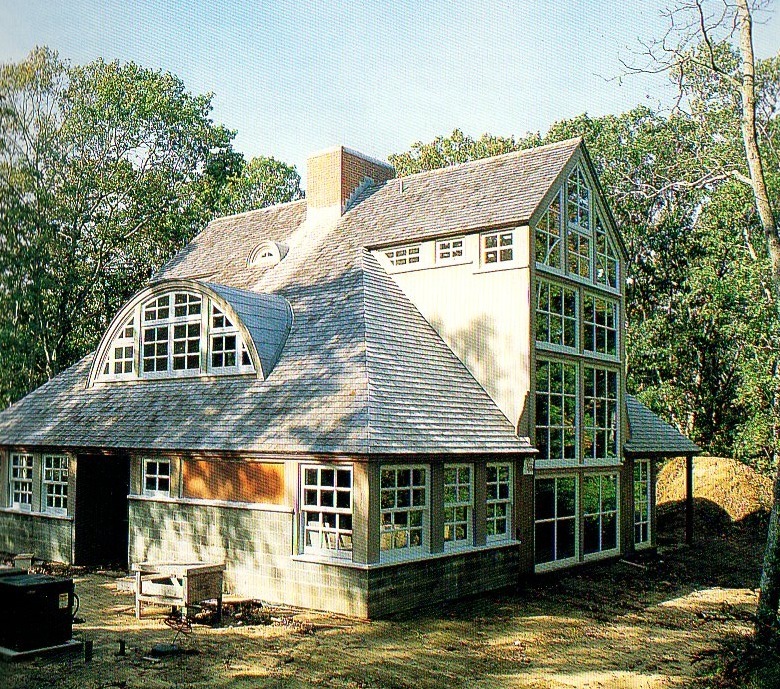 1985 - aka House on Long Island V, 48 Briar Patch Lane, East Hampton NY. Photos by Matt Wargo. Sold in 2003 to Michael H. De Havenon. 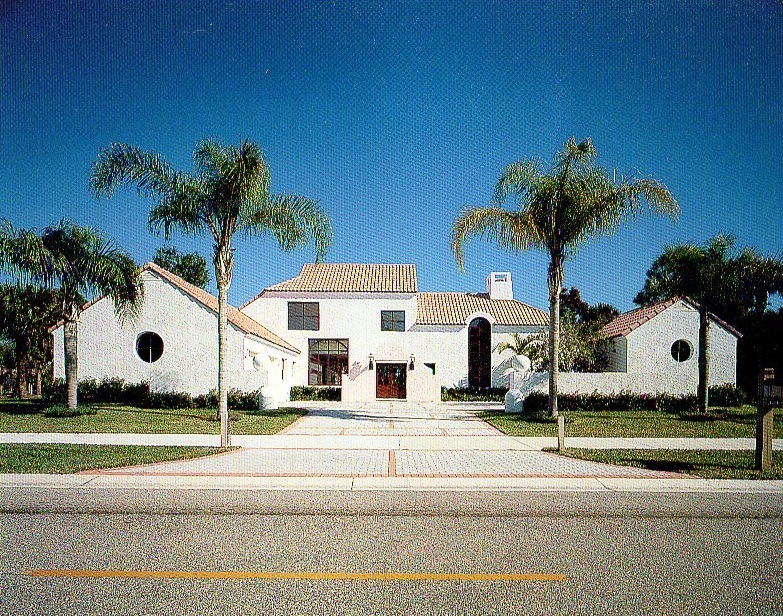 1985 - The Warren Pearl Development Corporation Houses, aka Pearl Houses, 1480 Breakers West Boulevard, West Palm Beach FL. 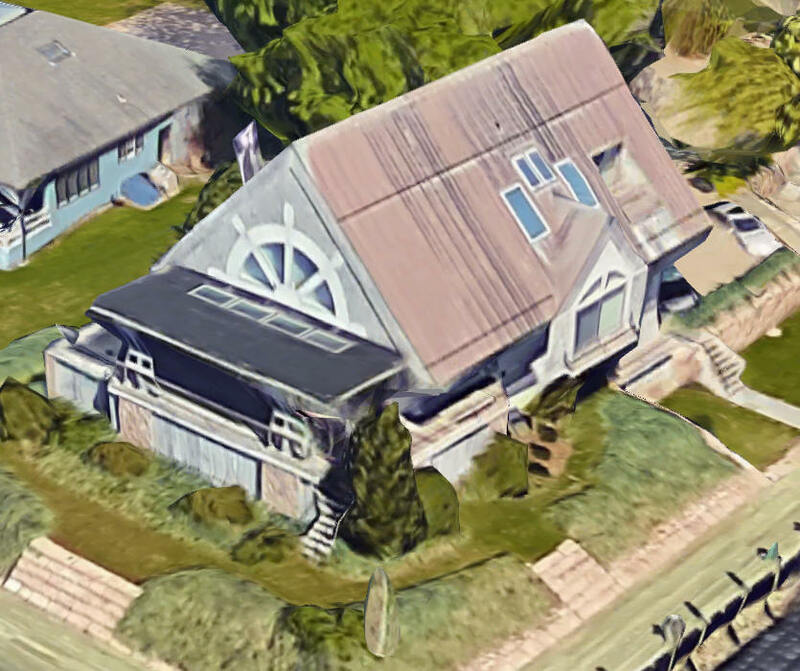 Was to be a series of houses, but only this one was built. Photo by Matt Wargo. Gated community; no public access. 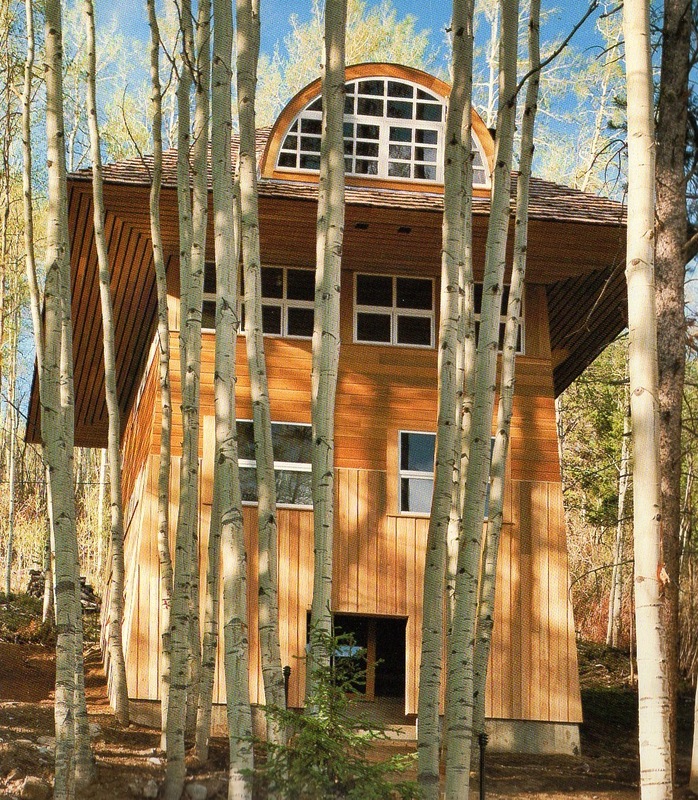 Sold in 2003 to Robert and Mary Galaska. 1985 - aka Sunshine Dream Village, Orlando FL. Possibly built in 1989, opening in 1990. Needs verification. 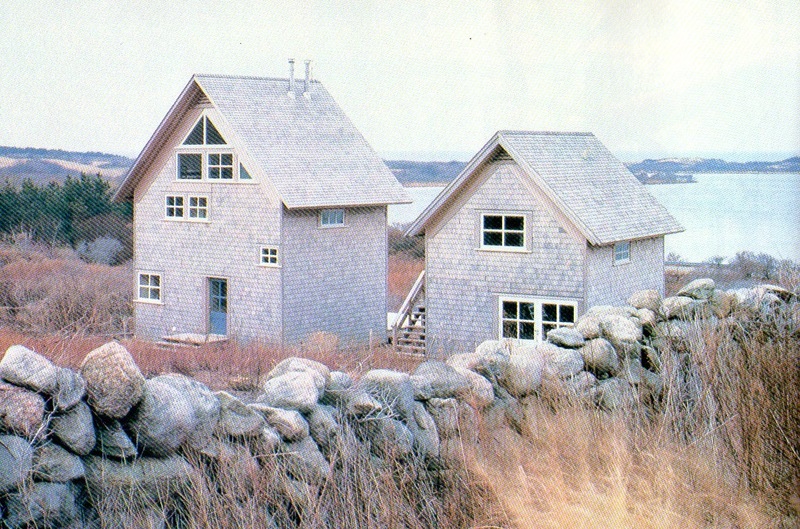 1986 - The David and Margaret Rockefeller Guest House, aka House in Maine, aka House in Seal Harbour, 187 Peabody Drive, Mount Desert Island ME. Photo by Matt Wargo. For sale for the first time in 2017. 1986 - aka House in Tuxedo Park, New York NY. Unbuilt. 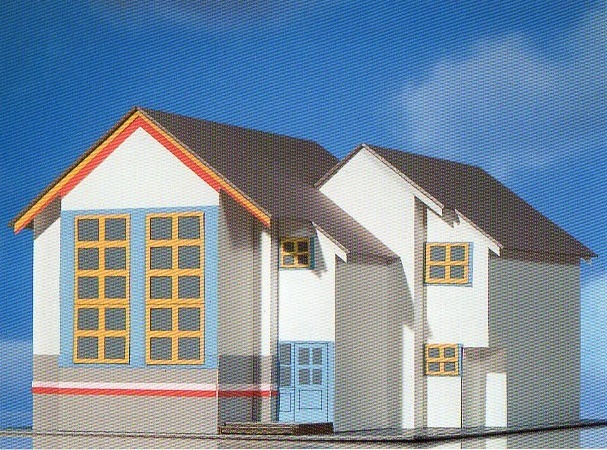 1990 - aka Prototype Houses for Mitsui Home Company, Mitsui, Japan. Unbuilt. 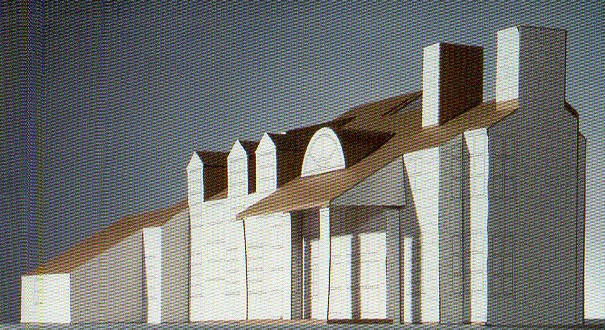 1993 - aka House in Chester County, Devon PA. Unbuilt. 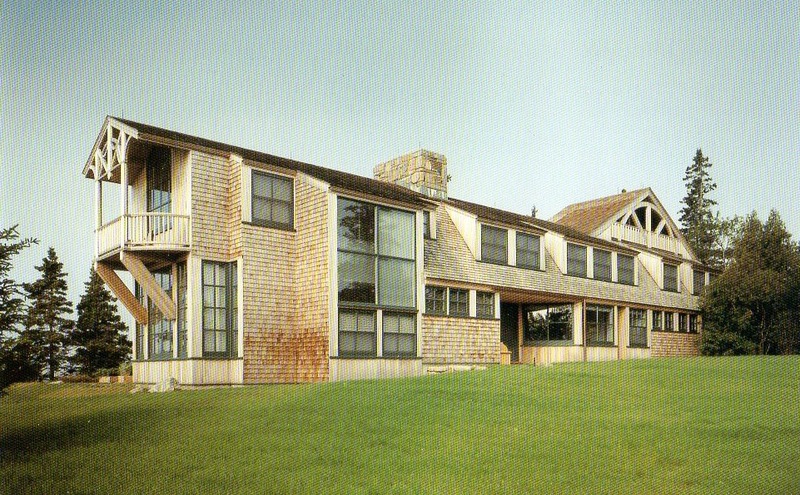 1994 - The Coleman and Susan Burke House, aka House on Nantucket II, 37 Gardner Road, Nantucket Island MA. 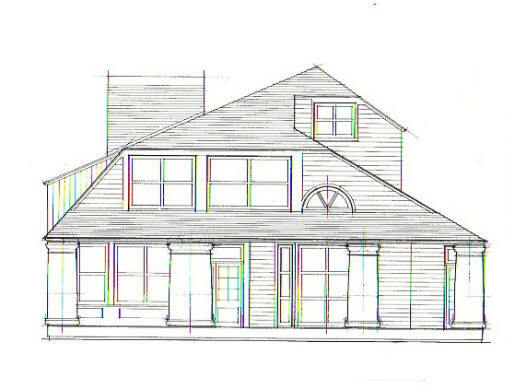 A 1981 scheme for the couple, aka House on Nantucket I, was unbuilt. 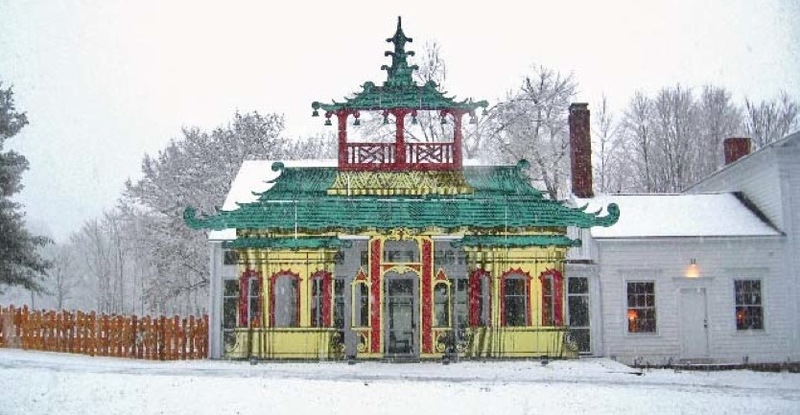 2009 - The Simon Lince and Cary Leibowitz Remodel, aka The Linceowitz House, 507 Gahbauer Road, Hudson NY. Photos by the owners.